Cricut paper - quality cardstock options. 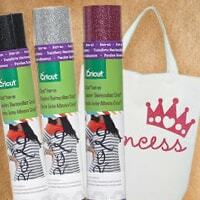 Cricut vinyl - indoor and outdoor, glitter, matte, etc. 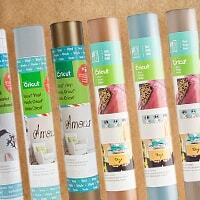 Cricut adhesive foil - make your project stand out with elegant foil. Cricut Iron-on - heat transfer material for fabric projects. 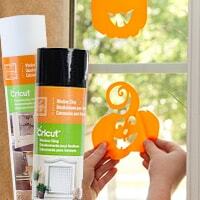 Cricut window cling - decorate your windows and mirrors. 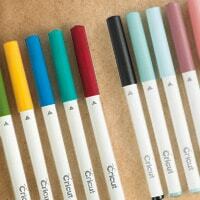 Cricut faux leather - great for jewelry projects. Specialty Cricut material - printable magnet paper, transfer tape, glitter ink, poster board, and more! When you own a Cricut machine, there are so many wonderful things you can create with, but you will require quality material for the process. 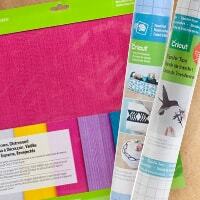 Whether you are making cards, scrapbook layouts, or home decorations, we have excellent choices in material. 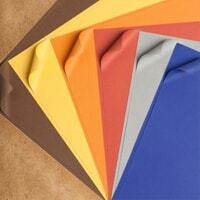 Cardstock paper - this is the foundation for paper crafting. Make frames, layouts, cards, gift boxes, etc. by embossing, cutting, debossing, scoring, etc. Vinyl - great for all kinds of applications, you can adhere the final product to flat surfaces like walls, appliances, etc. Create messages or fun shapes with your die-cutting machine. Use it at home or at the office. Iron-on - heat transfer material is perfect for fabric projects. Make pillows into custom designs, create your own apparel, and much more. Cut out custom designs using image files with your Cricut Explore Air 2 and some older models. Window Cling - cut the shape, design, and phrasing you want with your machine and then adhere it to windows, mirrors, etc. around your home, in your car, and at work. Easy to remove decorative Cricut material. There is plenty more where that came from! 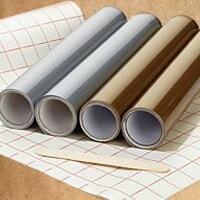 If you are looking for paper for your project, you will love all the options found here. 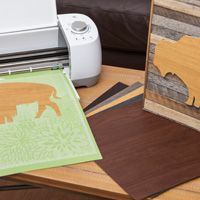 If you don't find the Cricut material that you need here, there are various great brands to consider for craft material.